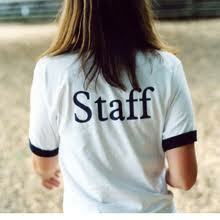 As a Center Owner, the area that has challenged my business skills the most has been….. Staff turnover! Child Care Centers are known to have a Very High Turnover rate, however, I have managed to have staff to stay with me for (3-7 years). However, I recently received news from two of my recently hired team members that they were going into another field and I thought to myself…Oh No, I have to hire more staff and Spend more Time Training! Never hire someone, simply because they need a job, Child Care is a Calling..not a Job! My recent evaluation of Staff Turnover, reminded me to stick to my original plan: Hire Professionals Only! Sure you can train someone to work with children, however, only a skilled professional understands the whole child and takes their job very seriously. I’m sure you may be thinking about the cost that is associated with hiring educated professionals, however, it will cost you more to keep hiring low skilled child care workers and the emotional stress is definitely not worth it. If you want to reduce your staff turnover rate and reduce the amount of time, spent training staff, hire right the first time and get professionals! Furthermore, in this business, I have learned more from my frustrations that I have from what comes easy for me in this business. I hope that this blog post has inspired you to hire Early Childhood professionals that may have the following: a CDA Credential, a Certificate in Child Care or working toward an Associate Degree in Early Childhood. If you have a large Family home Child Care Business, when you need staff, seek to hire early childhood professionals as well, it’s a great investment and a great way to market your business! In closing, I have found that, teachers with a Bachelor’s Degree or higher are great employees, however, they may not stay with you long, because they could make more money working in the public school system. I know that Everyone that you hire will not stay with you forever, however, you must hire smart, to lower your staff turnover rate! Your time is very precious and so is your decision making…when it comes to Hiring professionals for your team! Are you ready for a Business Makeover? If so, Grab my Virtual Child Care Business Owner Makeover Kit!